Thermal imaging technology is expanding so much that professionals have their pick of devices at a range of price points to make their jobs easier. Technology is getting cheaper and the devices are getting smaller. 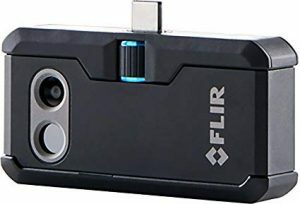 Here, Nathan James Van Gambling offers his view of the FLIR ONE Pro accessory that turns a smartphone into a useful and affordable diagnostic tool. I was given the opportunity to review the FLIR ONE Pro, a thermal imaging device within the extensive range offered by FLIR. It fits to the underside of a smartphone by connecting to the charging port, and models exist for both Android and Apple devices. It comes boxed in well-designed packaging rather like smartphones do. This is a shame, as oversized wrapping does not really fit with the key features of the heating industry: energy efficiency and protecting the environment. An app is required to work the device, and a QR code is provided to aid the download. Admittedly, I did struggle to find the correct app but I am sure this is down to me being a novice with smartphones. Interestingly, every time I used the device at a friend’s house they all suggested they would like to have one. So it does seem to have a certain appeal, even for non-professionals. But within the plumbing and heating industry, I think it could be a game changer. Being able to take thermal images of radiators – the UK’s most common type of domestic heat emitter – I believe can have a beneficial impact for both the consumer, engineer and the environment. Rather like the people trying to hide in the bushes from the helicopter’s thermal camera on one of those police programmes, presence of dirt in a heating system is now much more visible and able to be detected. And once effectively dealt with (e.g. performing a system cleanse) the camera can also ascertain whether cleaning has been successful. This is great for the customer and vastly different to what has sometimes taken place in the past. 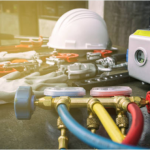 Not just rogue sole traders, but companies with KPI’s and performance targets have been known to coerce their engineers to just connect a flush machine to the system and give the impression an adequate flush was being performed. I’m not suggesting this was common practice, but unfortunately it has been known to happen and probably still does. The FLIR ONE Pro camera, therefore, can provide before and after evidence that will verify the system is clean and reduce the occurrence of ‘pretend flushing’. Of course there are other methods for proving system water cleanliness, but the uniquely visual representation that the FLIR ONE Pro offers is hugely beneficial to a customer and easy to comprehend. Because the FLIR ONE Pro connects to the smartphone, images can easily be uploaded within a report for the consumer and even used with databases such as the Home Works Register currently being developed by gas engineer Lee Fisher. The technology in this device is not new but it has become affordable for our industry. 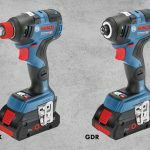 Engineers by their very nature like to take pride in their work and this device seems to be catching on in popularity, and like any good tool it has the ability to exemplify a certain professionalism. It also aids a customer’s understanding of their heating system when it’s explained to them on a walkabout during commission. Anything which helps an engineer achieve this tremendous task gets a thumbs up from me. When I announced on social media that I had been asked to review this technology, it was met with some cynicism, and I was led to form the impression it was not wanted. This was not from engineers but different sections of the wider industry – possibly the same ones who still misinform engineers about corrosion. To use an analogy for corrosion: If you kept chickens and were fed up of repeatedly finding dead birds each morning, your two best options are to get rid of your chickens or get rid of the fox. With the common form of corrosion which exists in UK heating systems, this equates to getting rid of your ferrous metal (e.g. pressed steel radiators) or getting rid of oxygen. Swapping everyone’s rads to UFH is impractical, but instead of eliminating oxygen by sizing expansion vessels correctly (so consumers are not constantly topping up their system with fresh water, like manufacturers tell them to do) and using a deaeration device, industry still maintains one of the best options is to use magnetic filters. This is no different to employing someone to collect dead chickens to keep the coup tidy. It does not solve the problem of chickens being killed. 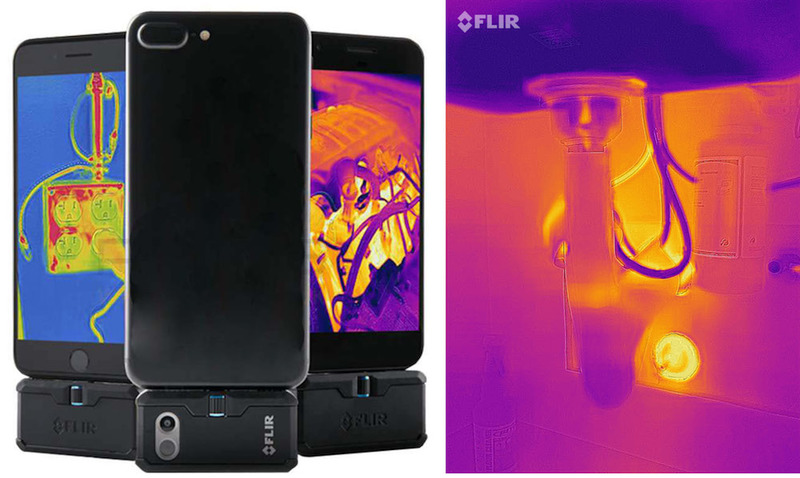 The FLIR ONE Pro camera solves a problem: customers and engineers can see radiators have been cleaned and any device or method which helps rebuild that trusting relationship between a customer and an engineer is certainly worthy of a shot. The FLIR ONE Pro is a fantastic tool and reasonably priced. As mentioned above, the packaging needs to be changed and ideally the charger for this device could be the same size as the micro USB used to plug into my phone. Apart from that, however, I think many engineers will enjoy using it and benefit from not only its capabilities but from being able to help the consumer understand their system is working just that bit better. 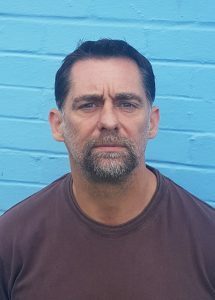 Nathan James Van Gambling has worked in the heating and plumbing sector for over 30 years in roles that have seen him on the tools as well as working as a college lecturer, assessor and speaker. He can be found on Twitter at @betateach.